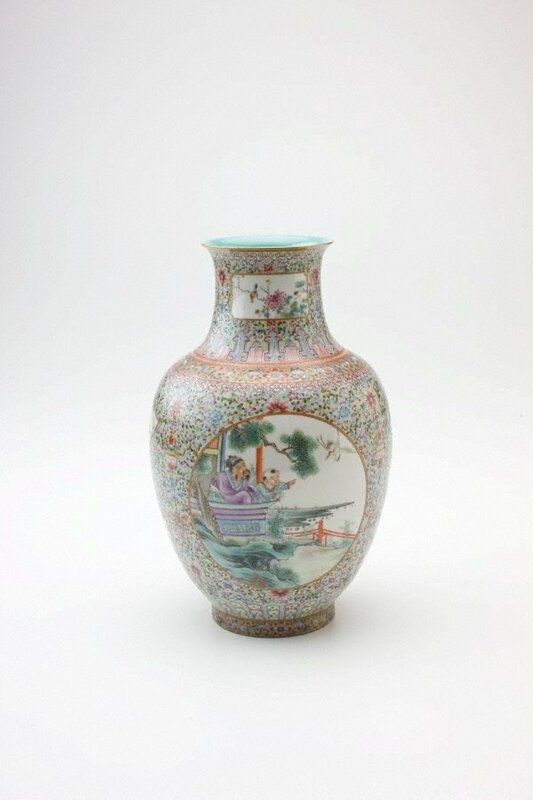 The medium description of this vase is egg shell porcelain with enamel decoration. The potting is extremely thin, probably less than 1 mm. This type of fragile glassy porcelain was the result of technical innovations introduced at Jingdezhen early this century. Hepburn Myrtle, 'Late Chinese Imperial Porcelain', AGNSW, 1980.